Overpowered classes are a fact of life in every expansion. Which classes are dominating in WoD? In a perfect world every class would be totally balanced. None would shine above the rest. Class balance is the name of the game in World of Warcraft, after all. Every nerf, every buff, every skill removal and tweak is done all in the name of balance. Overpowered is a dirty word that the game creators are trying to remove from our vocabulary. We truly commend Blizzard on doing their best to attempt to make all classes and specs viable and balanced. With that being said, the world we live and play in is far from perfect. All the nerfs, buffs, and tweaks in the world cannot change the fact that a few classes are always going to stand out above the rest. You know the ones I am talking about, those classes that make the less fortunate classes groan in despair when they appear in a raid or arena. Those classes that are going to out heal, out DPS, or out tank you no matter how hard you try. While these classes may and have traditionally changed from patch to patch and many will deny it, the overpowered class is, was, and always will be a part of the game. While Druids are typically touted as a jack of all trades and master of none, that is simply not the case any longer. Druids are seemingly masters of everything. No matter what specialization you choose, Druids can fill the role and do it better than many other classes. Not to mention, they look good while doing it. Take for example the Druid that was third on the healing meter in my last LFR group. Doesn't seem like anything special, right? Until you also find out this Druid was a tank and his number 3 spot came only from self healing. 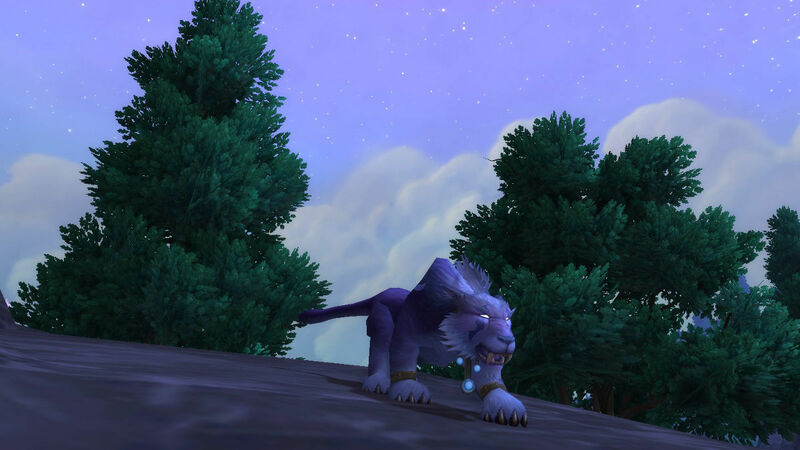 While Balance Druids are a little behind, the other Druid specs are doing well and utterly thriving in WoD. You just can't go wrong. Not that I am complaining, as the Druid is my personal class of choice. Hunters are a hot topic of discussion. This class is being talked about everywhere WoW players are. Why you ask? It seems that Hunters are not only overpowered in WoD, but they have also earned the title of Flavor of the Month. A shocking turn around for a class that was once drastically underplayed. It seems no matter your spec, if you are playing a Hunter you get an automatic win button. With all three specs fall within the top 10 on the SimulationCraft DPS rankings, it is pretty clear Hunters in WoD are the class to play if you want to be at the top. Add to that the current digust for Hunters being vented out on forums everywhere and it is easy to see that Hunters definitly deserve a spot on the overpowered list. Step aside Warlocks and Shadow Priests, it is the time of the Mage, with good reason. The current Mage class can push out huge amounts of damage while having longer survivablilty than either Warlord or Shadow Priest. With excellent utility and control, the Mage is great for both PvP and PvE situations. Combine all of the above with the fact that Mages currently can choose from more compositions and still be amazing, and we have a clear winner. Sure they can be downplayed as glass cannons, but the fact of the matter is, Mages are dominating. Do you agree with these three picks? Why or why not? Which classes do you think should have made the list? If you play one of these classes do you personally feel your class stands out above the rest? Share your thoughts with us in the comments section below!